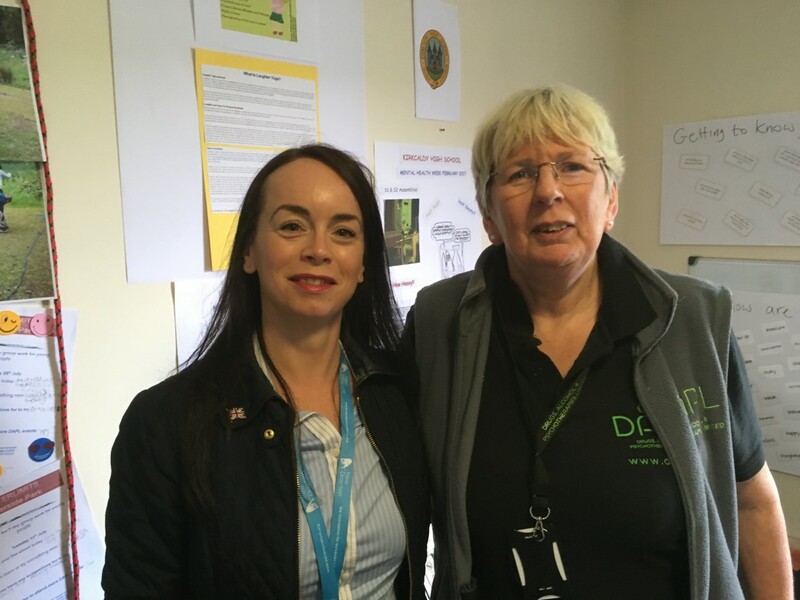 Last Friday I was invited to attend an open day in Leven, hosted by Fife's Drugs, Alcohol and Psychotherapies (DAPL) organisation. The event was held in the morning and originally I had envisaged a quick half hour visit, however, I was completely overwhelmed and ultimately, inspired by the work that DAPL does. In this post I am going to provide an overview of DAPL - using narrative from their literature then I will write a section on their work in schools - which is an area I am more familiar with and finally, the invaluable work with those recovering from addiction - something I would like to bring my own thoughts and opinions too. Inevitably this post is going to include some political postulating to it, I am a politician (albeit, a local government one) and I have opinions on where I believe things are working, where there is room for improvement and where the system is just not working. First though, I would like to make clear that any political opines are not in anyway reflective of the invaluable, admirable and inspirational work of DAPL's employees and volunteers. I have nothing but praise for them and thank everyone who took the time to speak to me on Friday morning. 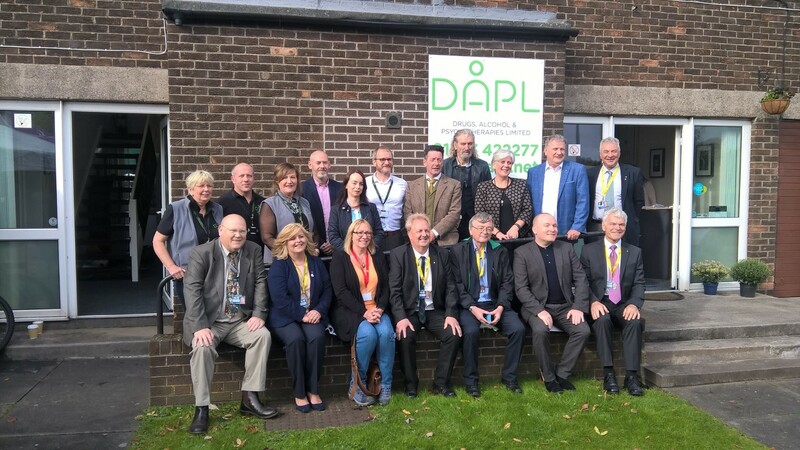 DAPL's mission statement reads: "offers one to one counselling, support, information and advice to individuals and families who are affected by substance abuse and live within Fife. The service is free and confidential and offered by experienced workers". Originally formed in 1994 to cover the Levenmouth area they now provide services across Fife. 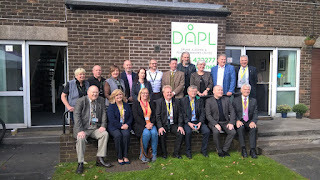 DAPL is funded by Fife Council and Fife Alcohol and Drugs Partnership (additionally this year they have received funding from the new Pupil Equity Fund and Scottish Attainment Challenge via the Scottish Government). DAPL has a team of fully trained counsellors who work with vulnerable people within the community who affected by addiction, this could be alcohol, drugs or substance misuse, services are confidential. Counsellors work with adults, young people and families. Some of the services they provide include working with individuals, running focus groups for those affected, awareness sessions and, in my opinion one of their most valuable services, they listen and work with local communities. Isolation blights the life of those affected by addiction and through education and working with local communities,DAPL can and does bring hope and change. To be part of a community and have an identity can break that cycle of being isolated and feelings of being worthless. Counselling sessions tend to be weekly and last fifty minutes. The sessions can also, where appropriate, contain information on group work, motivational interviewing, support on blood borne viruses (HIV, Hep C) and ear acupuncture. Premises are in Leven, Glenrothes and Kirkcaldy. Clients can meet at a GP surgery, council buildings and other voluntary sector agencies. Sessions may be for young people under 18 who are suffering from addiction themselves or are affected by addiction in a family member or peer. Young people are generally seen in school however, other arrangements can be made if this does not suit. Referrals may come from the school, police or family members. Services are confidential. DAPL provides invaluable services in schools across Fife. In 2016-2017 all eighteen high schools in Fife, along with 25 primary schools, referred pupils to DAPL. Sessions are tailored to work with the individual young person or child. 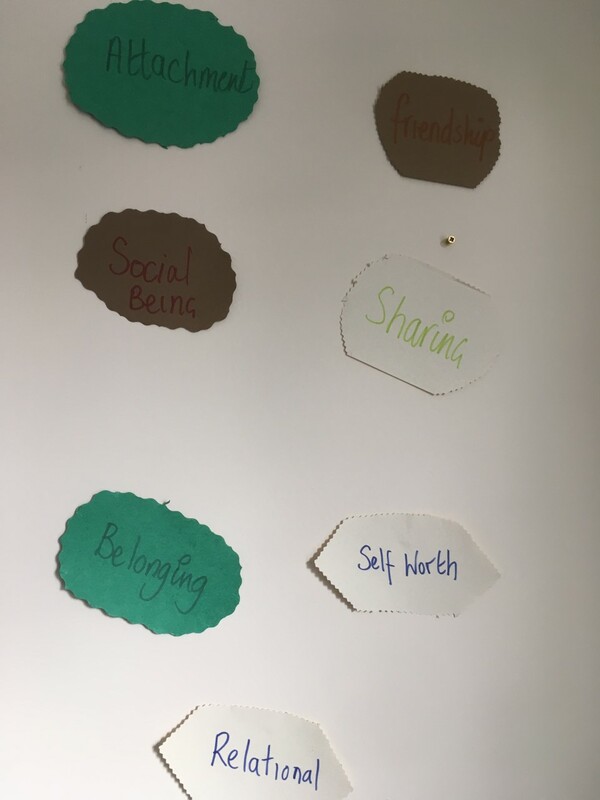 Young people may be referred to a DAPL counsellor due to anxiety, behaviour, family breakdown, sibling relationships, substance abuse within the family, bullying, low self-esteem - as you can see, a long list (and many more). Throughout the morning I was struck by the stories from counsellors on real-life experience of working with affected youngsters in schools. As a teacher I have been exposed to working with children who have brought behaviours to the classroom that would not be considered to be the "norm" and whilst often as teachers we can become frustrated at unruly and seemingly undisciplined youngsters, one thing always stuck in my mind (which was particularly emphasised when I began working with pupils with additional support needs) - behaviour is a form of communication. Misbehaviour in the classroom is rarely just someone wanting to be disruptive and naughty - there is far more going on, that for the most part of the time a teacher, seeing a pupil two or three times a week in a busy secondary school, will unlikely consider. This is in no way a slight, every teacher has had that moment when they have shut the classroom door at the end of a lesson and sighed with relief that the "bad pupil" won't be back until next week. However, what many seemingly unruly pupils are doing is often expressing, anger, frustration, fear, anxiety and stress due to what is either going on at home or within their peer groups (or lack of peer groups if they are being bullied and isolated or struggle to form relationships). This can be when an organisation such as DAPL will step in. Their trained counsellors can work individually with young people in a setting that is comfortable to the client. A large part of their work is to build trust - a lack of trust with anyone seen to be in authority can be a major stumbling block with a young person and that takes time. 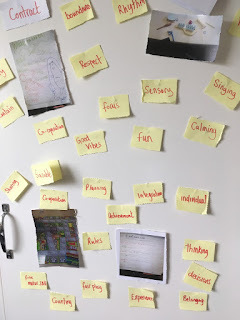 I know myself from working with pupils with additional support needs that quite often it could take weeks or even months for a pupil to come round and not see the teacher as their enemy or foe. Unpredictable behaviour comes from fear and anxiety - thankfully, DAPL and other groups have people trained to work in such environments and develop those feelings of trust and safe space. 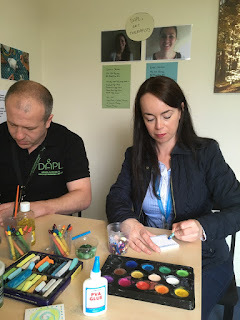 Additionally, DAPL has two trained art therapists to work with pupils in a more creative environment where appropriate - recognising that there is no one size fits-all method of counselling. Anyone over the age of 12 does not need parental consent to access counselling (although it is suggested that a significant adult is aware of it). Information that is shared is done so through seeking the agreement of the young person. 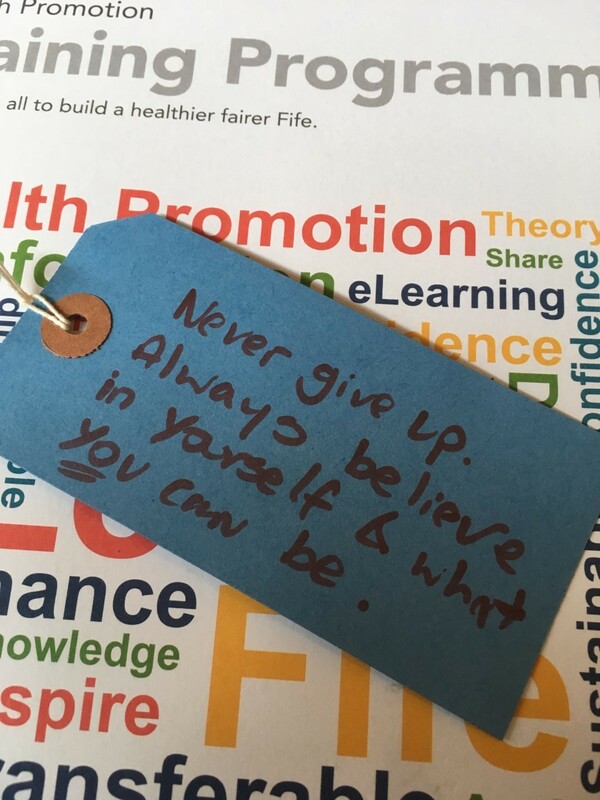 This year targeted funding has become available for two primary schools in Fife, in both DAPL counsellors are now in place full-time. This funding has come from the Scottish Government Attainment Challenge and the Pupil Equity Fund (PEF) - money directly granted to headteachers based on Scottish Index of Multiple Deprivation indicators of pupils in school. This has meant that the two schools have an in-house full time counsellor. I had a lengthy conversation with DAPL counsellors based in both these schools and was struck by the referral rate of pupils across the primary years. Issues can range from anxiety, stress, neglect, family breakdown down, sibling relationship breakdown, to not "knowing" how to play and interact with peers. 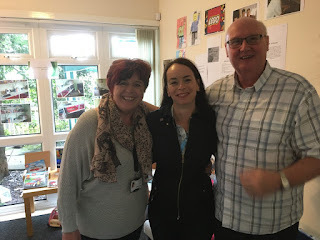 The work of the counsellors is fantastic and I could sense their dedication, energy and enthusiasm as I spoke to them both and that feeling of making a breakthrough when someone seems very far away inside themselves. On a more politically orientated note, my question I left with was this - DAPL (and other counselling agencies) provide an invaluable service, but full-time counsellors are only in two primary schools in Fife (there are 141 primary schools across Fife), I know from personal experience in a high school that getting access quickly and frequently to dedicated counselling services for young people is not always so easy due to waiting times. Therefore, what about all the children and young people we are not reaching? 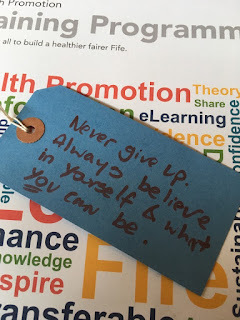 If the Scottish Government wants to continue to talk about Getting It Right For Every Child (GIRFEC) this cannot just be in regards to receiving the best educational opportunities possible (which I would seriously question given the chaotic implementation of Curriculum for Excellence and then the new National qualifications), but must also be in terms of offering sufficient support networks for pupils who need to access them. More than ever young people are faced with multiple peer pressures, many often ending up in the role of being a young carer, social media and cyber-bullying, pressures to try out harmful substances, a lack of boundaries in the home, family breakdown and a long, long list (far too long) of issues they carry with them into school. Whilst living in a household identified as being in SIMD 1 or 2 (the most deprived) carries a much higher risk of many of the above, affluence does not negate bullying, alcohol and substance misuse, parental absence, cyber-bullying and feelings of worthlessness. The simple fact is, schools - for the sake of pupils, and also very often teaching staff, who are ill-equipped to deal with the multiple and complicated experiences and feelings a young person brings to the classroom, need in-house counsellors such as those provided by DAPL. It is time this was recognised and addressed. Only then can we say we are getting it right for all young people. Additional funding needs to be made available to local authorities from the Scottish Government to train and employ staff in schools to be counsellors - until then, it is a fallacy to claim that GIRFEC is doing what it should be doing. My final point to cover is one that I am most unfamiliar with and this is working with recovering addicts. DAPL has a dedicated Recovery Worker to do this. I am not going to make much further comment on this as I feel I simply, at this point, am not in a position of enough knowledge to write fluently on the subject. I will finish with a comment made not on Friday but on Saturday at a conference I attend where the Scottish Conservative MSP, Annie Wells spoke of addiction and recovery in Glasgow. There appears to be a system that is letting far too many down and where rather than recovery is is more "managing" an addiction. She spoke of methadone users who had been prescribed it for 30 years. That is not right. That, to me, says something is very wrong in the system and that needs to be addressed. However, that is a discussion for somewhere else. A key point from Friday is that we need to be proactive and not reactive - particularly when working with young people. If investment is made at a much earlier stage then many of the hurdles and the vicious cycle, whether it be of alcoholism, drug addiction, low self-esteem, suicidal thoughts, self-harming or other triggers, can be broken at a much earlier stage and ultimately, this will improve the long-term life chances for all. Below are some photographs and also links to DAPL. My words for the "recovery tree"